So the promise of 200,000 starter homes will be fulfilled by ending affordable rented housing on private developments. Instead the Prime Minister has announced that developers can meet their planning gain obligations (known as S106 agreements) by building discounted homes for market sale. These so called affordable homes can cost up to 80% of market price up to a cap of £250,000 outside London. Once again the government has demonstrated its complete misunderstanding of the role of the volume house-builders. These private companies are not in business to meet housing need. In 2010 the government gave developers a free pass to avoid making any S106 contributions on the grounds that it might harm site viability. Now they expect a much-reduced S106 to help them fulfil their starter home pledge. In 2014 only 16,193 homes were built under S106 agreements with developers in England compared to over 30,000 in 2007. What sort of starter homes would they be if those affordable rented homes were converted to home ownership and sold at £250,000? Remember that private house builders try to control the market price of new housing by limiting supply, or the rate at which new homes are built on any site. This way they can sell at what appears to be a discount by influencing the overall price. This newly announced policy is also a blow to housing associations who last week cravenly gave in to the government’s new right to buy scheme, by-passing the need to put it through legislation and undergo parliamentary scrutiny. The housing associations voting for right to buy showed little concern that the scheme would be funded by the sale of council housing in high value areas. 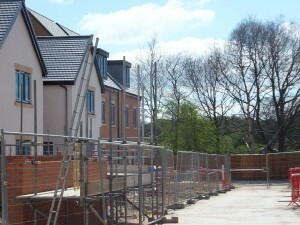 Now housing associations look set to lose their supply of new S106 affordable rented homes. Is that a fit reward for their complicity?